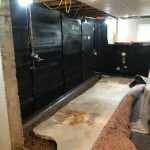 Water in your basement is more than just a hassle—it’s a potentially destructive problem that can ruin furniture, drywall, framing, or even your home’s foundation. 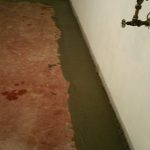 Even if you don’t have your basement finished but you use it for storage, water can damage anything that’s kept on the floor. But perhaps worst of all is its impact on your family’s health. After all, mold spores can spread rapidly in moist or wet conditions. 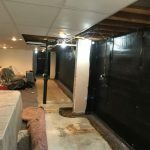 If you have a basement water problem, then you need an effective solution in order to address these concerns and restore your peace of mind. 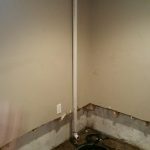 While a sump pit and sump pump are an important piece of the puzzle—they’re not a complete solution. That’s because they’ll only resolve water within the general area of the pit. 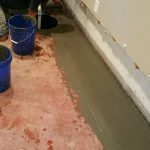 What you really need is an interior tile drain system, which will capture water at its most common point of entry—the basement floor/wall joint—and direct it into the sump pit where it will be flushed out and away from your home. 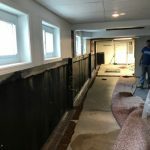 This is a comprehensive solution that will prevent you from having to remove finished walls and further waterproof your basement. 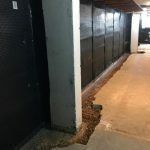 At Adams Foundation Repair & Waterproofing, we install the patented Hydro-Channel Basement Drainage System, a highly durable and proven system. As opposed to an exterior one, which is another option—is generally more cost effective as exterior work tends to be more labor intensive. 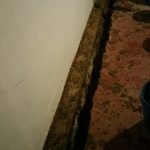 Installing the system on the inside also avoids exterior damage from the weather or even root systems, which are prone to growing into exterior drainage systems. 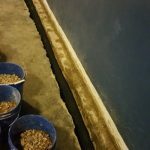 By taking this important step and having an interior tile drain system installed, you’re doing what it takes to protect your investment in your basement—and your home’s value. 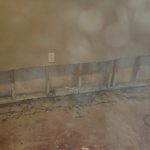 You’re also protecting your family by preventing the growth of mold due to water seepage. It’s a relatively simple step that will go tremendously far in terms of its impact.